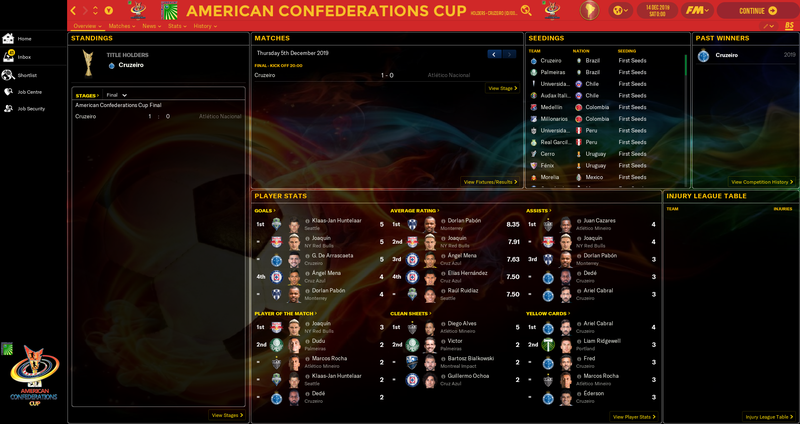 A throwback to UEFA competitions of old (with some customized formats and nation rankings added also). There are 33 different UEFA structures included, along with the UEFA Youth League, the AFC, a CONCACAF/CONMEBOL merger, and year-long transfer windows. Hi all! 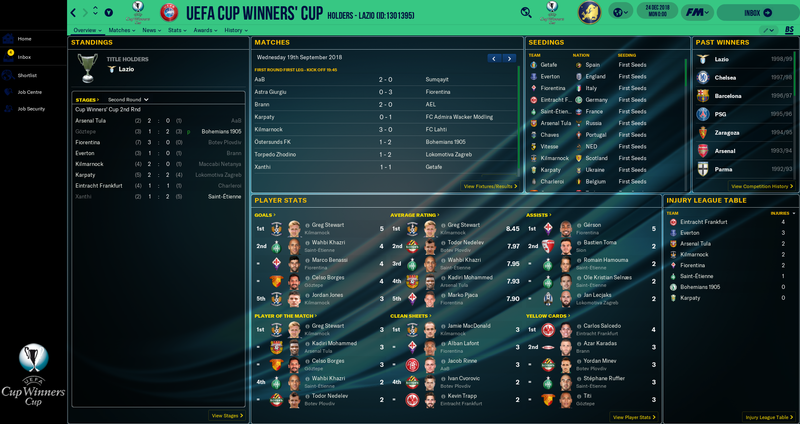 Bit later out of the gate this year but I finally gotten this up and running for FM19. As always there are plenty of updates for this year, tons of options, as well as more that I have planned but haven't been able to implement yet. 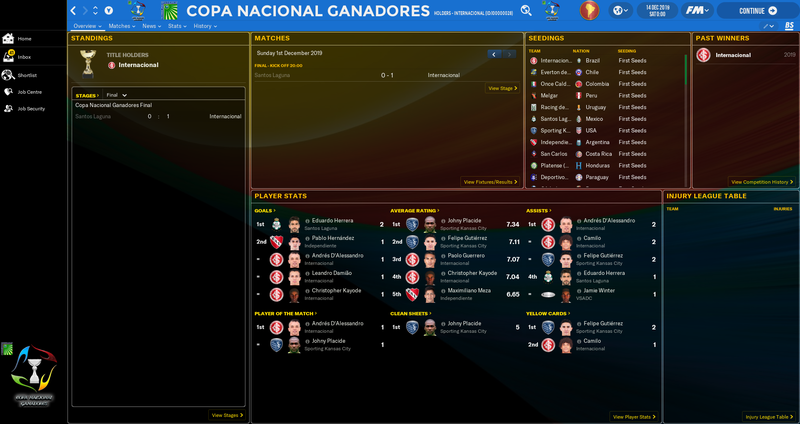 This is a project dating back to Football Manager 2013. 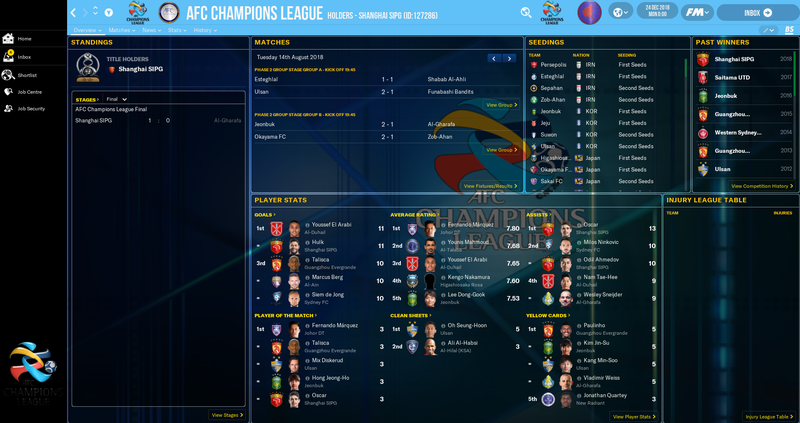 It originally started out solely as a throwback to the 1999-2003 format of the UEFA Champions League, which contained 2 group stages, and has since progressed into a full structure where I've managed to find room to bring back the UEFA Intertoto Cup & the UEFA Cup Winners' Cup. 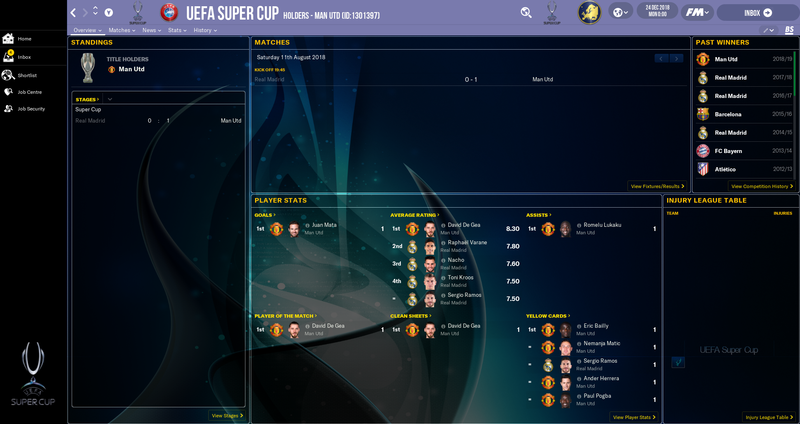 There are 33 separate UEFA structure files so you can choose whether you'd like to use the UEFA Europa League (1 group stage or 2), the recently announced Europa League 2, or revert back to the UEFA Cup. 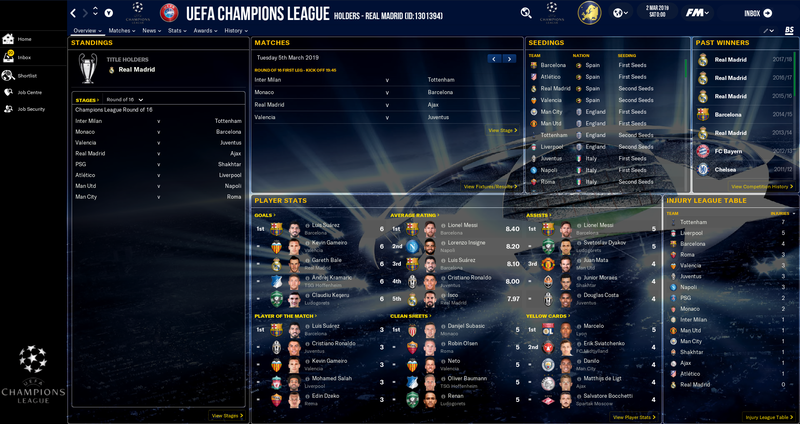 You can also choose whether or not to reinstate the UEFA Cup Winners' Cup, play a knockout-only version of the tournaments, play the 1991-93 version of the Champions League (group stage for the final 8), or choose between 1 or 2 group stages in the UEFA Champions League. Plenty of choice for all. All new to the project this year are the No Transfer Window files. These will allow you to operate in the transfer market all year round in over 30 countries. Now technically I should clarify that this is in fact a year-long transfer window, which was done in order to keep up with signings over the course of the year, and how much money is spent. This way the Transfer Window tab in the league overview still has some use. The window closes at 11pm at the end of May, and the new one will open the following morning. 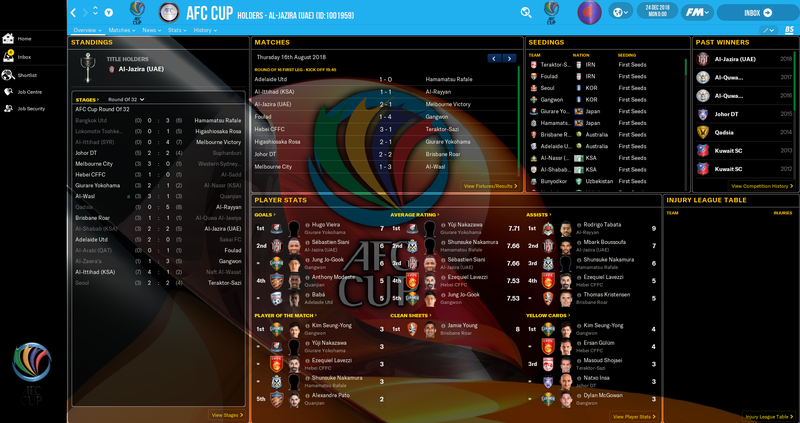 Finally, there is a version of the FIFA Club World Cup which is loosely based on the newly announced expansion to 24 teams. Like the real competition, this one will start in June of 2021 and will take place every 4 years. However the expansion only features 20 teams as opposed to 24 to avoid certain complications. 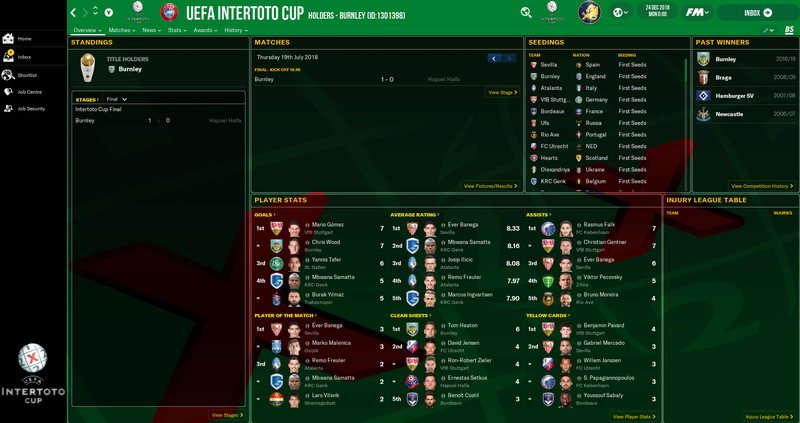 - If you are starting a new game and controlling a team that is competing in the UEFA Intertoto Cup, you're going to need to start your game before June 15th. Activating France as a playable nation will allow you to start your save at June 11th. 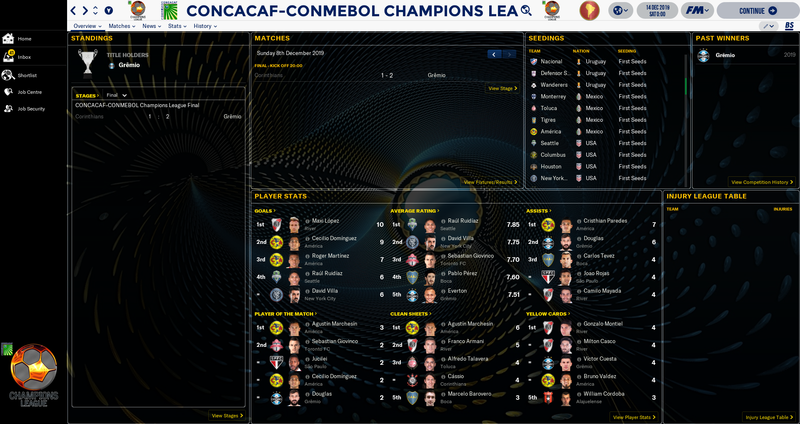 - With the exception of the AFC, CONCACAF-CONMEBOL and UEFA Youth League files, only use 1 of the UEFA Revival files when starting a new game. 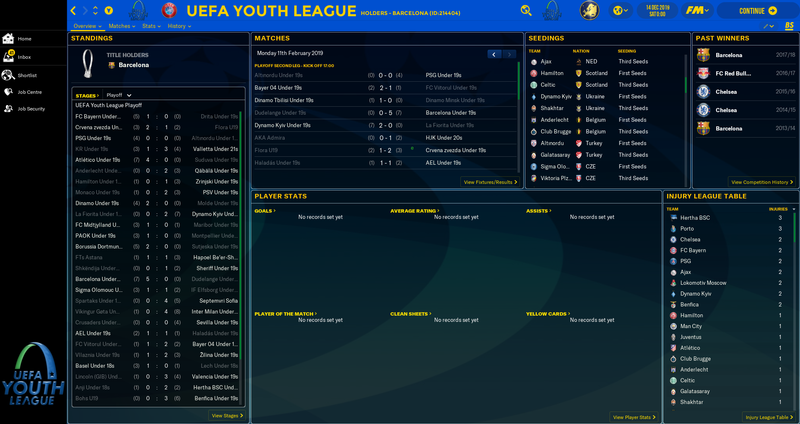 I've made 33 different UEFA files available for download in order to give you options on which format/competitions you'd like to use. 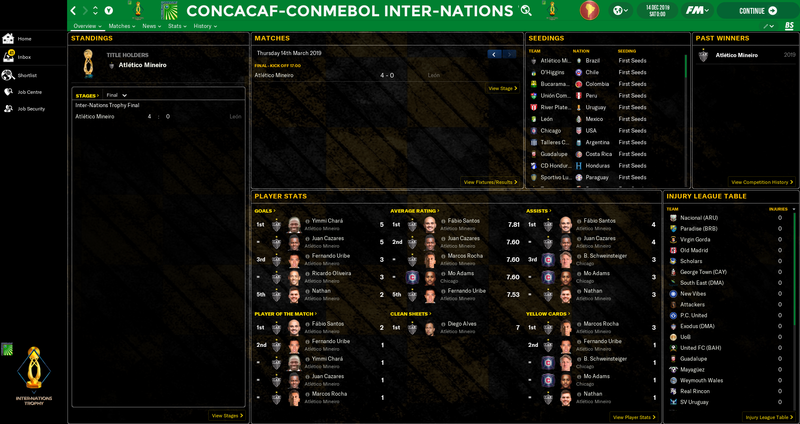 - All CONCACAF-CONMEBOL competitions are scheduled to begin in early 2019. 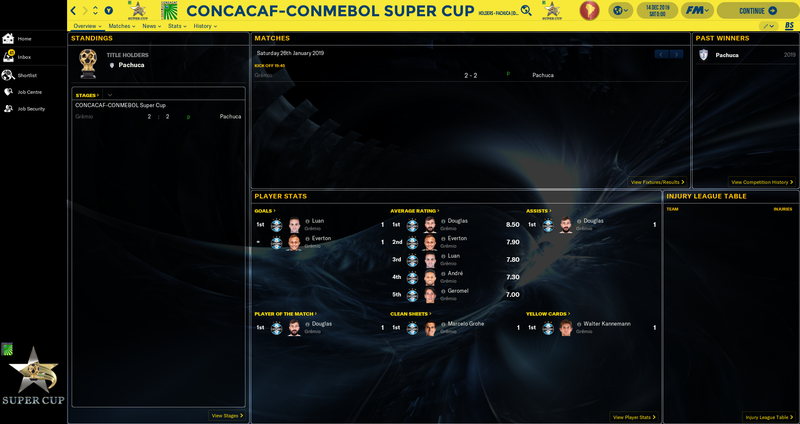 - All CONCACAF-CONMEBOL competitions are listed under South America, but also feature North American teams. - Don't worry if you can't register your squads for continental games. It's a bug in the editor but you're still able to just select your squad as normal per game and start the match. The players will be registered automatically. - Activating Northern Ireland as a playable nation this year thankfully no longer clashes with the UEFA structure like it did in FM18. NOTE: If you are already using graphics packs, copy the lines of code for each ID from the config files and paste them into your existing config. NOTE: If the UEFA Cup graphics don't show up in your game, go to Preferences and make sure the "Show unique ID's to assist skinning" box is ticked, as well as "Reload skin on confirm". 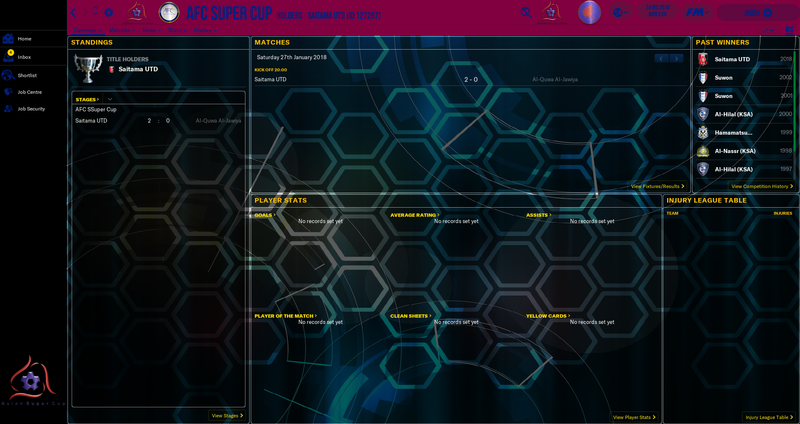 Then simply change the line of code in each config file for the UEFA Cup graphics, and rename the corresponding graphics to the new ID number. The ID number required will likely be 100000024. 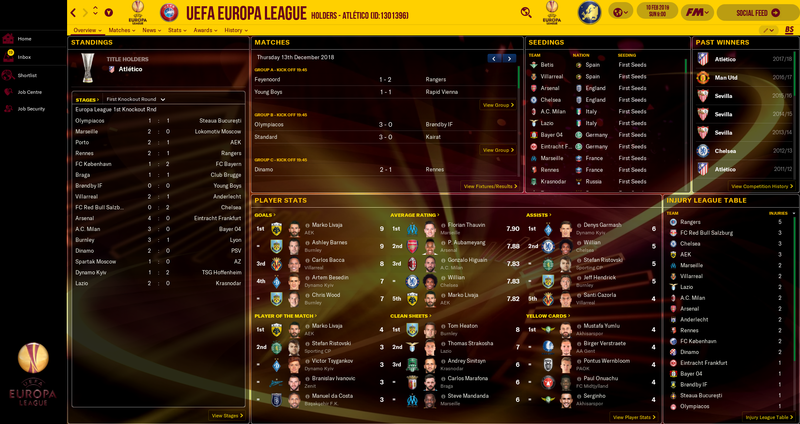 NOTE: UEFA Europa League 2 graphics ID's will need to be added to the config. I left them out because the ID will be too unpredictable depending on what files you use in your save. I'd like to give thanks to those who have helped me out when it came to getting this file off the ground, such as KingRobbo, Freddie Sands, krlenjushka, KUBI and davie77, as well as anyone else who was kind enough to chip in along the way. Your help is much appreciated, and I couldn't have gotten this project completed without all of you. If you encounter any problems feel free to let me know and I'll do my best to get them sorted for future updates. Feedback is appreciated. Thanks for taking the time to read and download. Enjoy! 22 comments have been posted so far. @Lpereira: I won't have the time to do that I'm afraid. 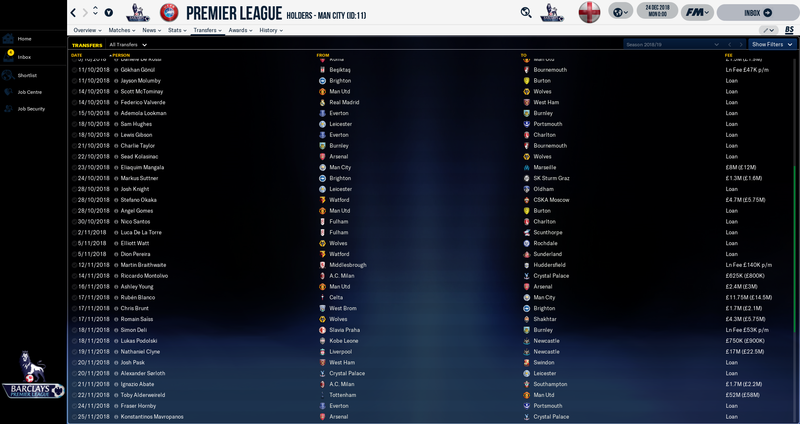 Barring any bugs that need fixed, I think this may be my last update for FM19. Hello, can you creat/regrup colonial coutries with there mother nation? For mexian people will be spanish and their clubs in spanish division, algerian people would be french and clubs in franch league,..... is it possible please? @nijode999: I'm working on a few new additions so I'm hoping to get the next update out within a week or two, roughly. Maybe even sooner depending on how much trouble one file in particular decides to give me. In the mean time if you know which file you want to start a new save with in the 1.4 download, you can open the file up in the editor, click Edit > Test Rules and the file should verify. Then save and exit the editor and the file will work. @alexou93150: No worries. The new patch messed all the files up but I'm in the process of updating everything so it's all compatible with 3.0.
don't it work since the update ? @Exqiron: The squad registration issue has been a long-time bug in the editor. However you can thankfully just select your squad for each game and hit start match to continue without any problems. @fico777: What is happening exactly when you try to extract it? Have you tried downloading it again? @ReekyDrop: That's definitely something I've been meaning to do for a while. I'll include that in the next update. Can I suggest something that might be worth doing? 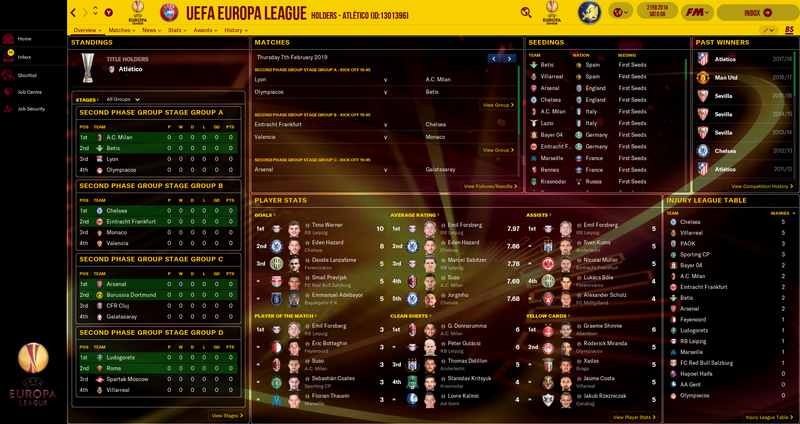 Clear the Europa League history prior to 2010 (Atletico v Fulham), and the UEFA Cup history post 2010? This way it won't duplicate the Competition history for clubs who won the trophy post 2010. Otherwise it looks like, say, United won both the UEFA Cup AND Europa League in 2017. @fico777: You need to install Winrar to extract it. @Salvio: That is the case, unless the cup winner has qualified for a higher UEFA competition via the league. The spot then goes to next highest team in the league so that no team is competing in 2 UEFA competitions at the same time. Both problems fixed now. Enjoy. @Carlito_85: No probs mate. I've had a quick look, and for your Champions League settings at least, in Rounds you can set the minimum capacity for the Final - probs set it to, say, 40,000? Not sure how it will work for the newly created ones, mind. I'm sure you'll find it! @ReekyDrop: Ah ok. What I'd done by design was leave the stadium requirements unticked so that any team could participate in the Champions League, but never took into account that the final would be played in such a small stadium lol. I'll make sure to get that fixed. Thanks for the heads up. @elohgee: Thanks. I'll be sure to double check that UEFA Cup in file 24 and get it fixed. If any more problems pop up just let me know. Okay, I want to apologize for the second bit, I didn't read about the holders bug. The problem with UEFA Revival 24 still stands, though. 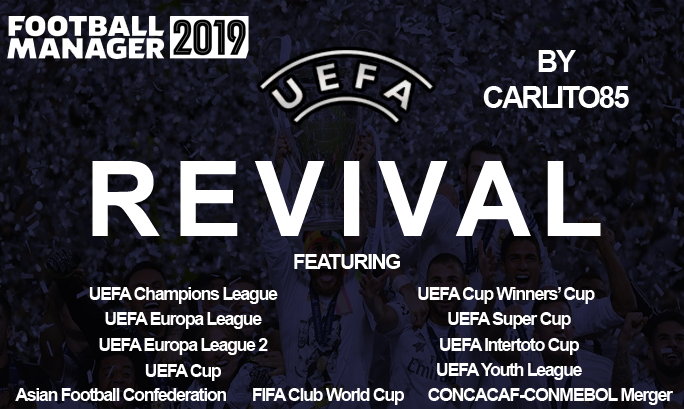 I've loved your work in recent years, but there are some issues: I've tested UEFA Revival 24 on the vanilla database and, for some reason, the UEFA Cup doesn't advance past the first round (whereas everything else works normally). 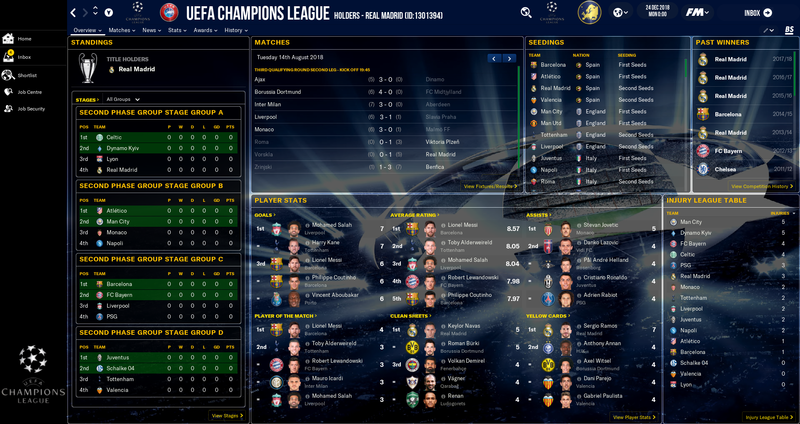 Secondly, is it possible to include the Champions League holders as separate entries in the Champions League? Handcrafted in Symi, Hellas. Page created in 0.573 seconds.